Summary: En route to Delhi to receive an award, a Bengali film star reevaluates his success through his fellow passengers, dreams and past experiences. 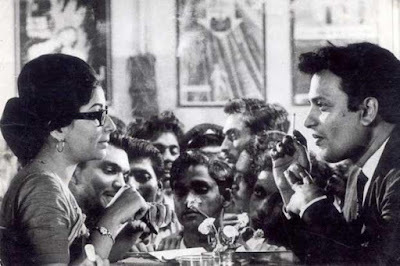 Nayak (aka Nayak: The Hero) is a 1966 Bangla drama film written and directed by the legendary Indian filmmaker Satyajit Ray, starring Uttam Kumar and Sharmila Tagore in the lead roles. Satyajit Ray presents the tale of a movie idol, named Arindam Mukherjee, who despite his fame and success is haunted by solitude and a sense of guilt. He is both a compulsive smoker and an alcoholic. Although, Arindam hasn't yet tasted failure, the very thought of it fills his heart with grave fear and premonitions. He has had female companions but still pines for true love. He has all the materialistic pleasures at his disposal but is robbed off his mental peace. While on a train from Calcutta to Delhi to receive an award, Arindam meets a female journalist, Aditi Sengupta, who has little regard for movie stars. Aditi wants to interview him but she is least interested in printing what everyone already knows about the matinee idol. So, she blatantly asks him to reveal his true, darker self to her. He, however, dismisses her, saying that he doesn't want to self-destruct his goody-goody image in front of his market. But, Arindam soon begins to regret the missed opportunity to finally unload his burden. He then sees a dream wherein he gets drowned in a quicksand of money. When he finally wakes up, he feels uneasy, and, out of desperation, approaches Aditi to start a conversation about his rather oblivious past, leaving himself completely exposed in front of her. 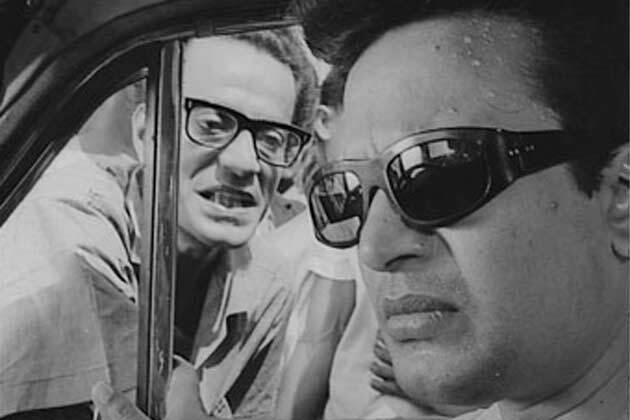 Nayak is a testament to Satyajit Ray's remarkable range as an auteur par excellence. 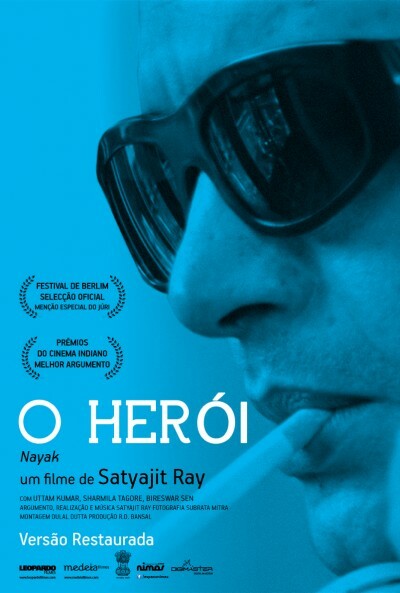 As a brooding character study, Nayak is distinctively different from Ray's early ubiquitously renowned works like Pather Panchali (1955) and Mahanagar (1963), which are essentially dramas laden with social commentaries. The social commentary in Nayak, on the other hand, is mostly implicit. However, the one Ray movie that Nayak does hark back to is the 1958 musical masterpiece, starring the great Chhabi Biswas, Jalsaghar—undoubtedly, one of the greatest character studies of all time. Nayak serves as a great precursor to Ray's "Calcutta trilogy”—comprising Pratidwandi (1970), Seemabaddha (1971), and Jana Aranya (1976). In Nayak, Uttam Kumar plays Arindam Mukherjee with such poise and ease that it appears as if he is portraying his own life on the celluloid. Ray gives us a vulnerable hero hiding behind his cocky, larger-than-life façade. 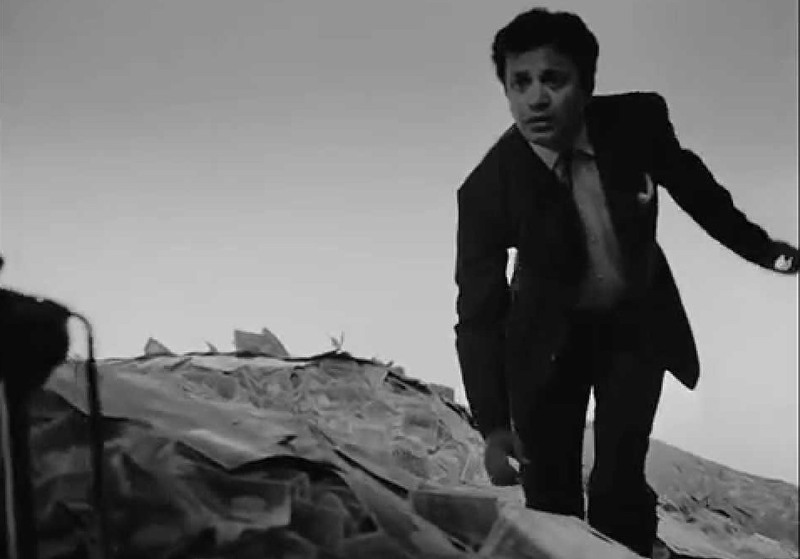 And, Kumar, to his credit, never misses a note during his challenging portrayal. He is well complemented by Sharmila Tagore who plays the character of Aditi to a tee. Aditi is the only person Arindam opens up to; the tantalizing conversations between the two characters offer some great food for thought. Ray uses the various interactions between the co-passengers to make us realize that the hypocrisies and follies of a star are not much different from that of an ordinary man. A few other characters in the movie merely provide a morality check. Overall, Nayak is a powerful work of cinema that like most films of Satyajit Ray remains as relevant today as it was back then. Nayak is not an easy movie to watch. Unlike other Ray films which require patience, this one requires composure. There are scenes of such enormous power in Nayak that a faint-hearted will get jitters while watching it. Ray's use of dream sequences to make the narrative more evocative puts him up there with the likes of Bunuel, Kurosawa, Bergman, and Fellini. Nayak is certainly a film that every student of cinema ought to watch. P.S. Nayak is available on YouTube with English subtitles and can be watched here. Saw this yesterday, brilliant movie.